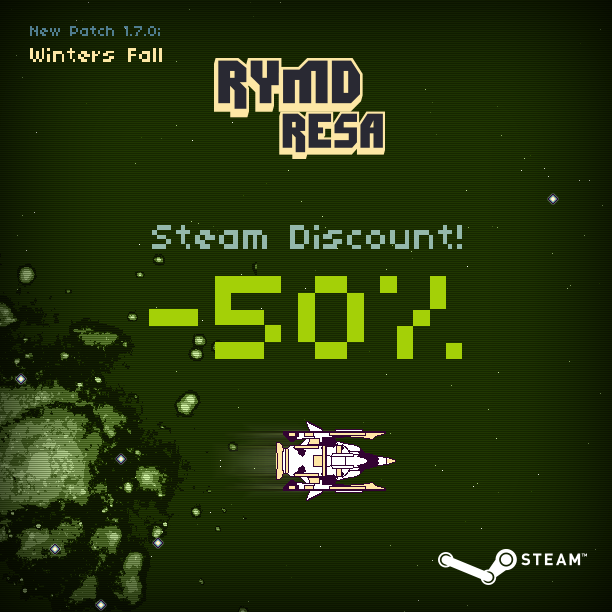 RymdResa on Sale: Half-Off (So You Can Go Get Spaced Out Cheaper) | "DESTROY ALL FANBOYS!" Relaxing yet somehow terrifying, Morgondag‘s RymdResa is one of those great game experiences open to all who give it a shot. The atmospheric space exploration game where no combat is s key feature is also one of the more compelling games you’ll ever play and at $5.99 for the next week, an even better bargain. If you stopped reading this here and went to check the game out, my work here is done. Everyone else, keep reading. Gameplay is both zen-like and creep upon you intense as monitoring dwindling resources and shields while trying to survive everything from asteroid collisions to ominously massive space creatures of assorted origin trying to stop your travels cold makes for a great means of killing a few hours at a time. The game is also great for shorter play sessions as well, given that one can level up relatively quickly (within a few minutes), save, quit and pick up later on with no trouble. Also, Morgondag is working on a new game called Imprint-X, a cosmic-themes puzzler where players need to solve what’s on screen in as few moves as possible. It looks pretty neat and yes you should go sign up on the game’s page when you can. This entry was posted in 2016, Commentary, DAF, Humor, Updates and tagged BUY This Game, Digital Games, Downloads, Imports, Indie Games, Indie Gaming, Morgondag, PC, PC Games, RymdResa, Sales!, Screenshots, STEAM, Sweden, Valve, VGA 101, Videogame Appreciation 101, Videogame Trailers, YouTube by geelw. Bookmark the permalink.